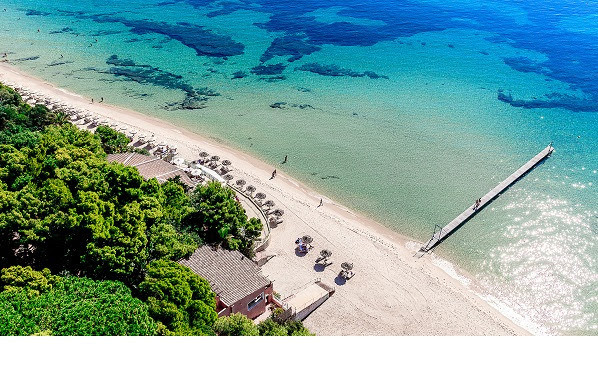 Talise by Jumeirah has led winners at the World Spa Awards, taking the title of World’s Best Hotel Spa Brand at a Gala Ceremony at Forte Village Resort in Sardinia, Italy. During a red-carpet event, QMS MediCosmetics was also recognised as the World’s Best Spa Brand by voters from around the world, while Sardinia, Italy, took the title of Europe’s Best Wellness Destination. World Spa Awards President Graham Cooke said: “Following a successful launch in Vietnam last year World Spa Awards is now firmly established on the international spa industry calendar. “We have welcomed the elite of this rapidly expanding industry here to Forte Village Resort this evening and recognised the leaders among them with our prestigious trophies. During the event, Al Faisaliah Spa by ESPA at Al Faisaliah Hotel Riyadh was recognised as the World’s Best Female Spa, while Emirates Palace Spa took the title of World’s Best Hotel Spa. Also taking the stage was Lanserhof Tegernsee, recognised as the World’s Best Medical Spa, and host Forte Village Resort, picking up the trophies for World’s Best Wellness Retreat. The title of World’s Best Nail Studio Brand went to PEDI:MANI:CURE Studio by Bastien Gonzalez. Forte Village Resort was the perfect host for the event. World Spa Awards is the sister to event to the World Travel Awards.